Most of us love elephants and hate the very idea of killing them for their tusks and hate even more the poachers of today. However, for most of history, ivory has been a favourite medium of artists and artisans. Many of the finest chess sets have been made in ivory. All of the ivory sets illustrated on this site are more than 100 years old. Trade in ivory is regulated by CITES - the Convention on International Trade in Endangered Species. The only elephant ivory that can be legally sold is that that has been worked, that is carved, before 1947. All trade in unworked ivory is banned. You can buy and sell pre-1947 ("pre-ban") ivory within a country. Export across borders requires a CITES certificate. Fortunately, there are huge quantitities of tens of thousands of year old mammoth ivory that can be legally sold. We can distinguish between mammoth and elephant ivory from their patterns of Schreger lines. The Schreger are the cross-hatched lines that are best seen in ivory cut at 90 degrees to the length of the tusk. 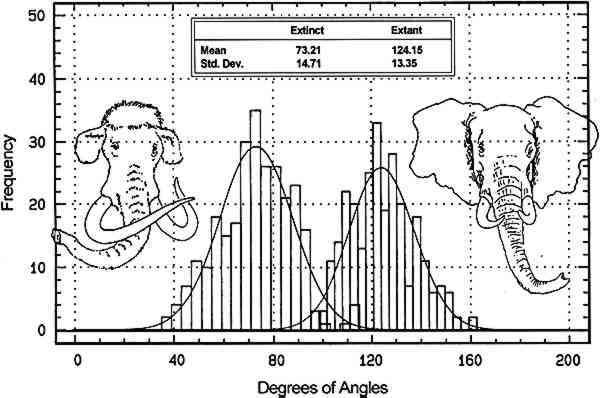 A scientific paper on the angle of intersection of the lines found that the 90 degree-cut mammoth lines generally cross at an angle of less than 90 deg whereas elephant ivory at generally more than 115 deg. 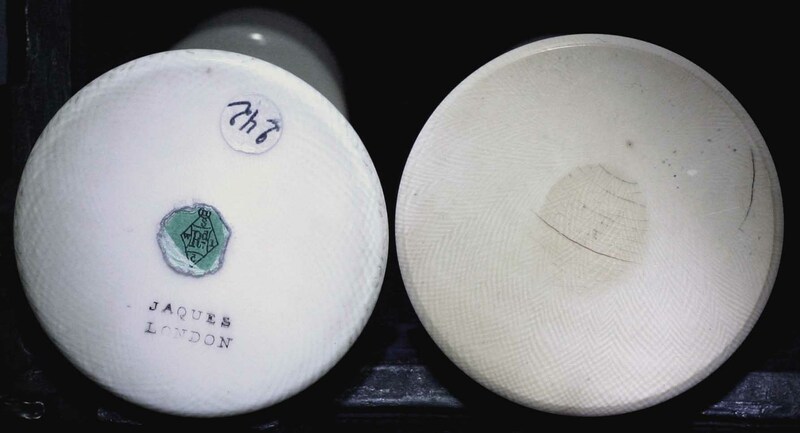 Below is a photo of the base of an 1850 Jaques king, with rather diffuse Schreger lines crossing at an obtuse angle (Left), and the base of a modern king made from mammoth ivory, with sharp Schreger lines crossing at a more acute angle (Right).